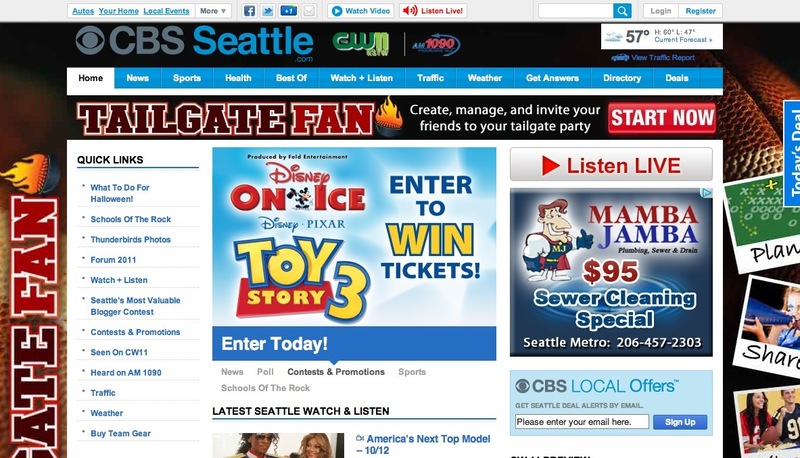 CBS Seattle Local is the digital extension of AM1090 and KWTS, covering latest news, sports, weather, traffic, as well as a question and answer service, the Best of Seattle, and business directories. It provides live streaming of AM1090 and is also the place to find real time information on various shows and radio programs. The site looks dynamic, and content-intensive. 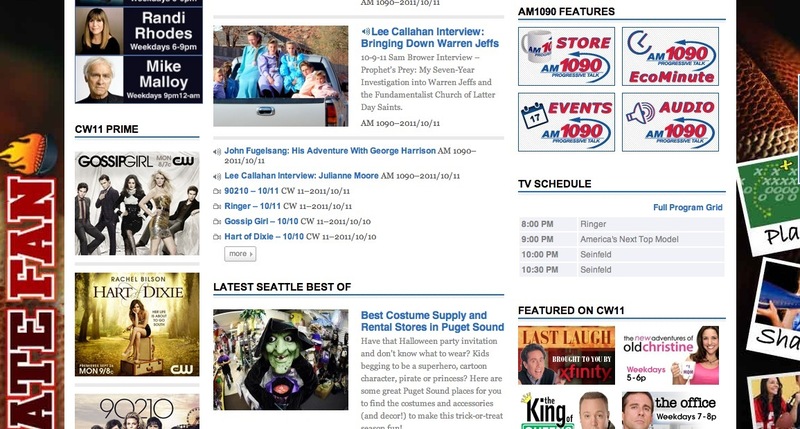 The highlighted button of “listen LIVE” clearly defines that it’s a radio website. The navigation bar on the top is well positioned for users to target intended content, but the information on the homepage is a bit disarrayed, especially the slightly cluttered feature images could easily distract viewers. A wide variety of groups like working professionals, students, and media employees, etc. The website acts as a convergence of traditional and new media platforms through creative, original content and advanced delivery methods. The overall mix of online and offline broadcast is designed to better serve its local community. It is very active in creating social media connections. And it also has Google+ share button. Email register, RSS, and the whole website runs on WordPress.